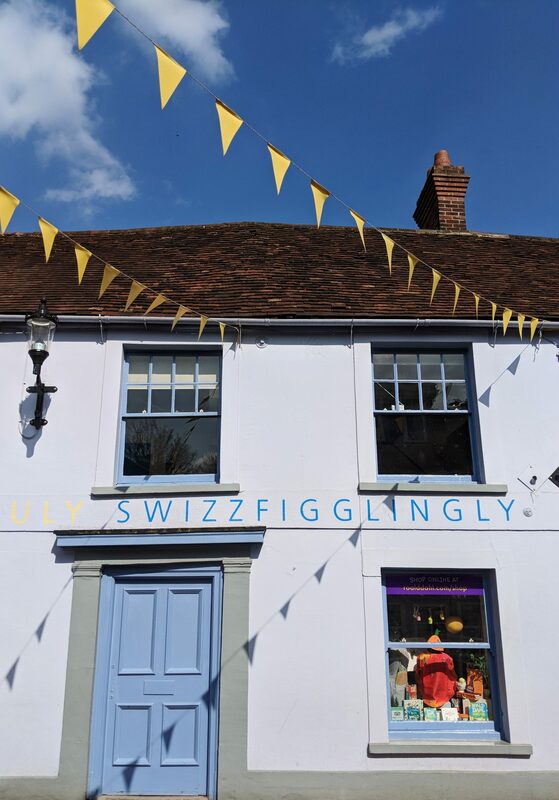 When I was younger I loved Roald Dahl’s stories and it’s been great fun to read them again with Little M so our visit to the Roald Dahl Museum in Great Missenden has been on my wishlist for a long time. The museum is fairly compact. There are 3 main rooms: Boy, which details Dahl’s childhood and contains copies of his school reports, an audio recording of him talking about his childhood holidays to Norway and a dressing up box full of vintage school clothes. The next area, Going Solo, charts his adulthood, first with adventures in the RAF and then moving onto his career as his writer. His beloved writing shed takes pride of place in the centre of the space with all his possessions laid out in their original places. These were conserved behind perspex but there was a chance to sit in a replica of his chair in the Story Centre (which I took full advantage of to channel those creative vibes!). The Story Centre forms the final major section of the complex. This was the most interesting area for Little Man who at 5, was just below the advised 6-12 age range and couldn’t quite take full advantage of the word games but the crafting activities, videos and dressing-up boxes more than made up for it. All this fun was thirsty work so we took a much needed break at the cafe. The prices were surprisingly reasonable (around £4.00 for a toasty or jacket potato) and the drinks were brilliant. 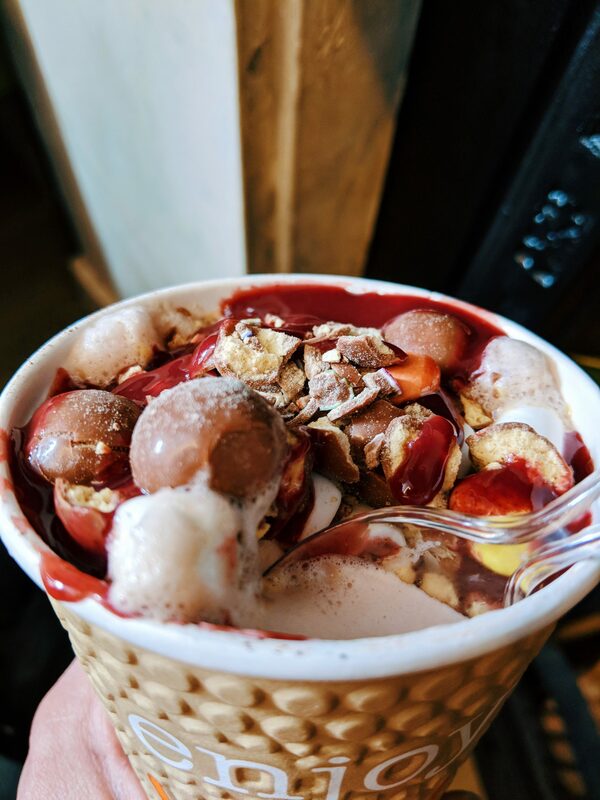 I tried the Whizzpopper which was a blend of hot chocolate topped with maltesers, crushed smarties, marshmallows and raspberry coulis – utterly delicious! To round off the visit Al and I paid an extra £1.50 each to see the archives. 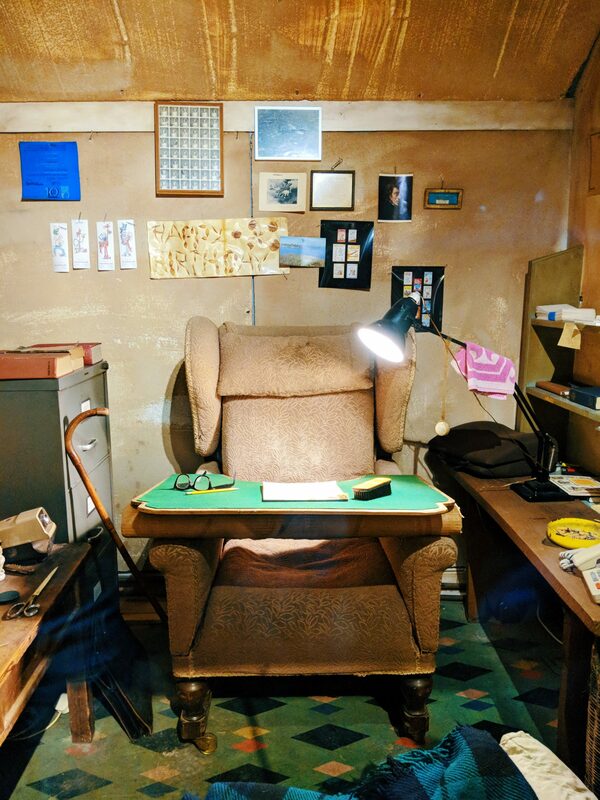 This was the best bit of the experience for me as we had an opportunity to see some of Dahl’s handwritten manuscripts (all on yellow A4 paper in pencil), letters to his mama, and telegrams from Walt Disney. 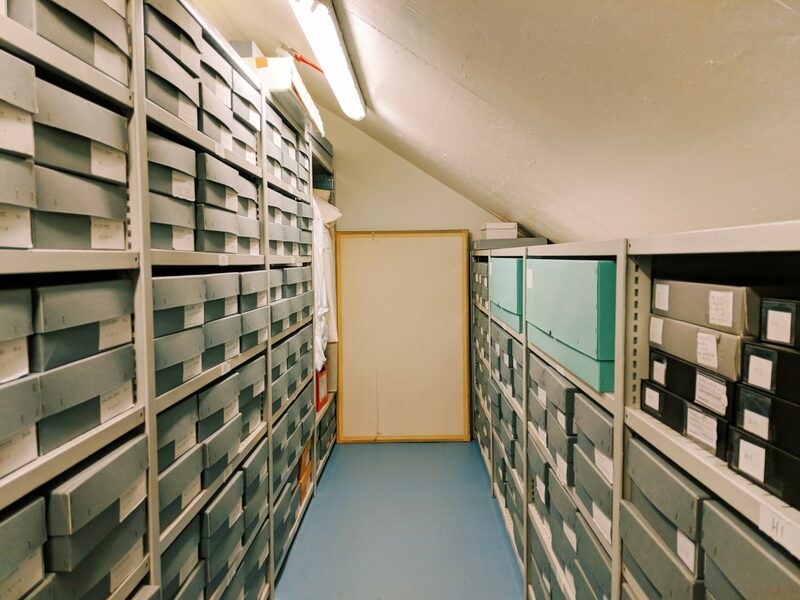 The storeroom is fairly small but it was incredibly exciting to know that some of the most-loved stories in the world are contained in those grey boxes. We were reluctant to leave, but couldn’t say farewell until we’d bought a book to add to our library. The shop is every bit as enchanting as you would imagine and crammed with Dahl merchandise. We had to restrain ourselves but still came away with a limited edition of James and the Giant Peach which I’ll no doubt be bookstagramming about soon. 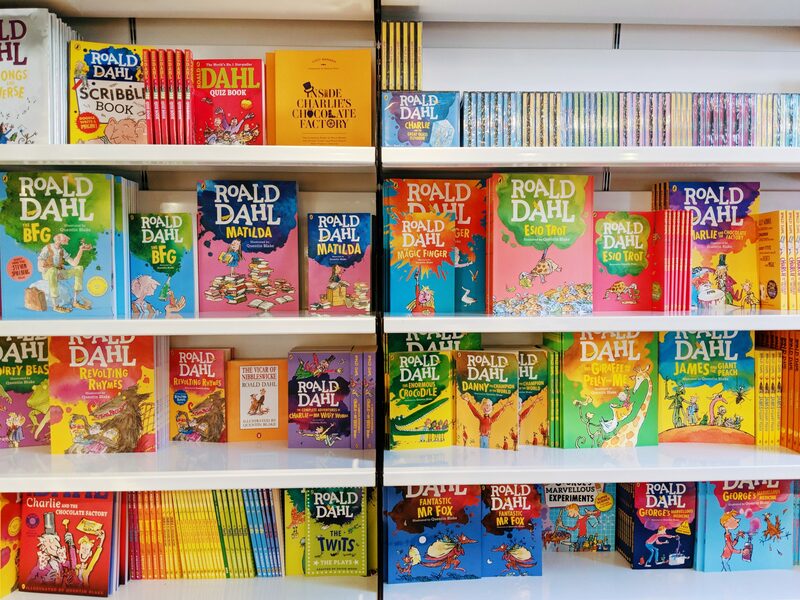 If you’re into Dahl then you’ll find everything you need here. Thanks to all the staff for a wonderful day out. I found the whole experience quite emotional as Roald Dahl’s books have inspired me as both a reader and a writer. We’re looking forward to visiting again when Little M is older so that we can enjoy it all over again. We didn’t try all the extras, but the museum offers free storytelling sessions and paid workshops, which change on a regular basis. There is a public car park about 5 minutes’ walk away from the centre so it’s very accessible. Have you been or would you like to visit? Let us know in the comments! What a magical place to visit! Great review Mel! I love reading of bookish places that people visit as much as books themselves! Thanks Clair – it was such a fascinating place and I don’t think many people have heard of it. Funny when you consider how popular Dahl’s books are! Dahl is one of my all-time favourite authors! What an adventure! Thanks for sharing. I’m so glad you enjoyed it. I was a bit breathless when I saw the box marked ‘Matilda’! Oh, yes! I can imagine! I loved ‘Matilda’.